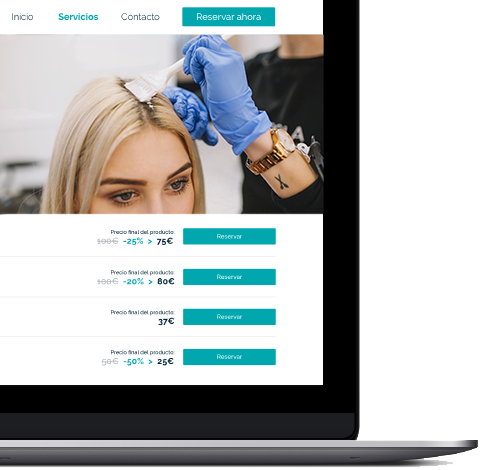 Manage with BEWE your hair salon and your customers easily and intuitively. Prioritize with colors the status of appointments and classes, write reminders for the day and manage several professionals at once. 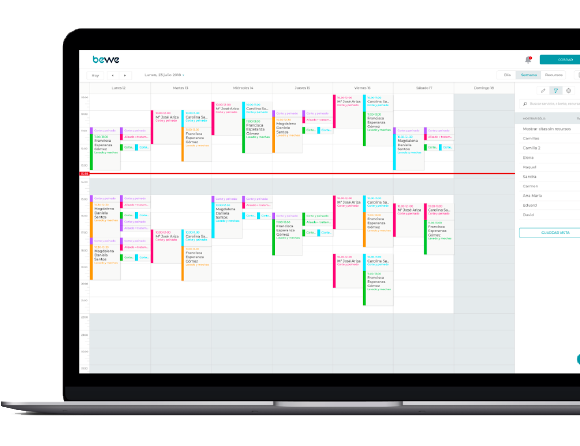 Discover more features of BEWE's agenda. Receive reservations from your website, App or Facebook page, directly and 100% integrated with your BEWE agenda. 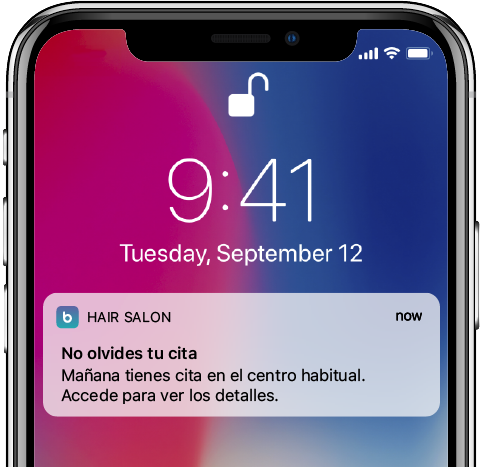 Reduce absences by sending notifications to your customers via multiple channels: e-mail, SMS and notifications through your own App installed on their phones. With the help of the BEWE waiting list, you can quickly cover cancellations made by your customers. BEWE offers you security and transparency in card charges, subscriptions or vouchers in an agile and simple way. Through emails, push notifications and SMS build loyalty and attract customers thanks to campaigns that you can do automatically from BEWE. 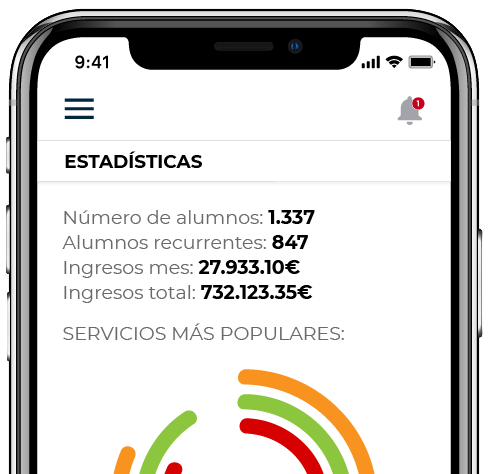 Build loyalty with your customers through your own App: receive reservations, manage charges, offer points redeemable for services, send promotions and appointment reminders. Control the product stock, measure the profit margins and optimize the purchasing management thanks to BEWE's inventory module. Make better decisions by knowing in detail what's going on in your center: hourly billing, more profitable services, inactive customers to contact... and much more! 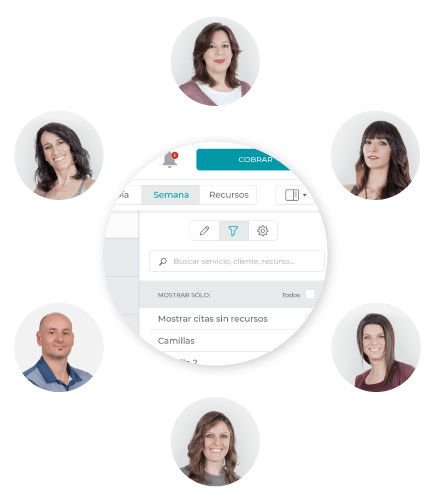 The whole team will be coordinated in your center and will be able to manage their daily tasks from their mobile phone. 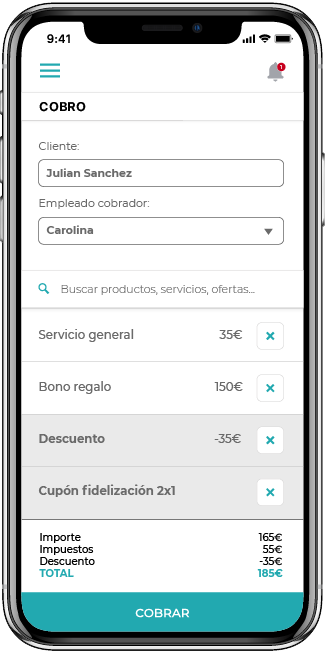 (Limit access and options according to the role of the professional).